Mary Ann Fetchu (née Budzar) was born January 26, 1942 in Cleveland, Ohio and passed away unexpectedly September 13, 2018 surrounded by her family. 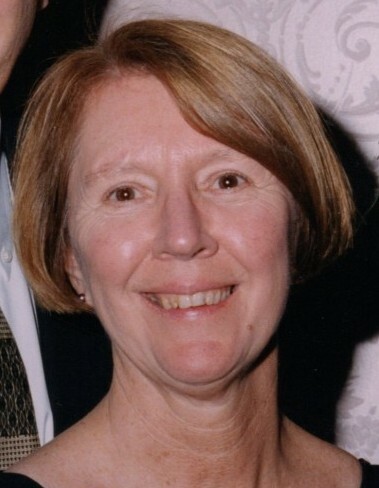 Mary Ann was a loving and loyal wife, mother, and grandmother, as well as a dedicated preschool teacher and Akron Public School volunteer at Betty Jane Community Learning Center. She was preceded in death by her parents, Joseph and Mary Budzar. Mary Ann is survived by her husband of 52 years, David; daughters, Mary Jennifer, Beth Ann (Matthew) Wyszynski, and Sara Ann (Robert) Wyszynski; grandchildren Zoe and Chloe Zelch, Ada and Ethan Wyszynski, and Grace and Luke Wyszynski; brother Joseph (Ruth) Budzar and many nieces and nephews. Mary Ann will always be remembered for her generosity, hospitality and love of children. She enjoyed sunny days at Maca Pool and did not miss a Carolina beach vacation in over 50 years. Mary Ann spent many years watching her girls play sports and continued to collect box scores for her grandchildren and cheer on neighborhood kids and past students. It was rare when she would go out and about and not run into a past student or friend. Calling hours will be 4:00 until 7:00 p.m. Monday, September 17, 2018 at the Donovan Funeral Home 17 Southwest Ave. (on the Historic Tallmadge Circle). Mass of Christian Burial will be celebrated at Our Lady of Victory Catholic Church. 73 North Ave., Tallmadge at 10:00 a.m., Tuesday, September 18,2018 with Rev. Fr. Mike Matusz officiating. In lieu of flowers, donations may be made to Betty Jane Community Learning Center, Akron Public Schools, 444 Darrow Rd., Akron, OH 44305.